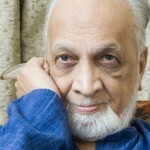 I was deeply hurt to hear the news of the death of Vijay Tendulkar, one of the greatest playwrights of Indian theater. It was only last year, at the South Asian Theater festival, I had the opportunity of meeting Mr. Tendulkar. It was an experience that I will never forget. He was physically frail, but his will was as strong as any young man. It was this will and his love for theater that brought him over here, few thousand miles away from home, to see how are we doing our theater. 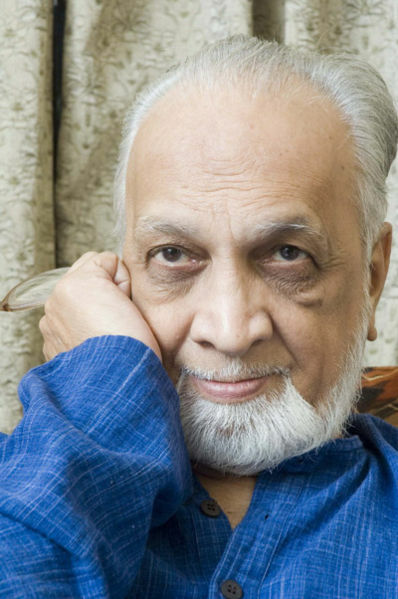 During his speech at the opening ceremony, the way he protested against the non-issuance of visa to one of the participating teams demonstrated that the fire was still burning within him – the fire that led him to write the plays that changed Indian theater. During the time when most Indian playwrights were busy translating and adapting western plays, Tendulkar came as a breath of fresh air. His plays grew out of the common man, his drama developed from their life stories, from the grass roots society. The films he wrote also bears the same signature, his protest against exploitation, protest against violence and injustice to humanity. When I met him last year, he wanted to see my plays. Somebody, close to him, had possibly told him about my plays, especially “Ron” that was staged at the first South Asian Theater festival. Unfortunately, last year I had no play in the festival. I told him, that I’ll try to send him a copy of my plays (translated to English). He gave me his card and asked me to visit him in India with my plays. It will be my life long repentance that I could not avail of this opportunity to visit him, discuss theater with him, and get some lessons from the great master. But he will be a great inspiration to me for all times. I hope and pray that his soul rests in peace. This entry was posted in Arts-Culture, Generic and tagged drama, film, play, tendulkar, theater, vijay by sudipta. Bookmark the permalink.